This is the homepage of the family Lichtenbelt. 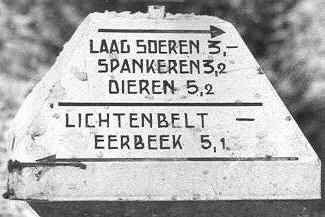 On this site you will find interesting Lichtenbelt stuff, but also others nice things to know and see. Pictures from the past and references to the origin of the family. The family tree of the family Lichtenbelt/Lichtenbeld and related families van Marken, Kruyt, Wijsma, Verloop, Reuchlin, Gronggrijp and Zomer can be found on a separate site. Other home pages of members of the family are interested as well. Intressted in live steam locomotives and in a beautiful garden? Visit the site of the gauge I page.